Ahhh it is here!! 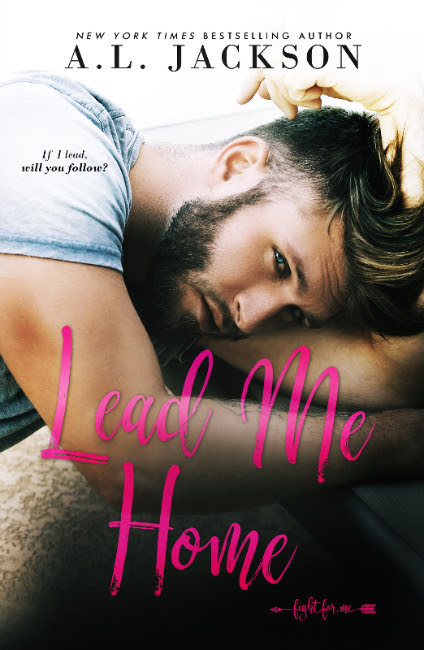 I am so thrilled to finally reveal the LEAD ME HOME cover - this is the last stand-alone novel in the Fight for Me series, and I absolutely am IN LOVE! It is PERFECTION. Those eyes and his expression are spot on to represent Ollie! I have all the details about release below, plus your awesome cover reveal giveaway! Warily, I peeked back at him. The man sat in the chair, looking like the king of his own city sprawled out below him. Chest bare and abdomen rippling. Eyes keen. The longer pieces of his hair whipped around him like a flaming white crown, the sides cropped, making the man look every bit the beast that he was. Yet, there was something about him htat remained so unbearably lost. It took about everything I had not to drop at his feet.